Watch the beautiful trailer for Djibril Diop Mambéty's second and last feature, 'Hyenas', which has been newly restored for re-release. 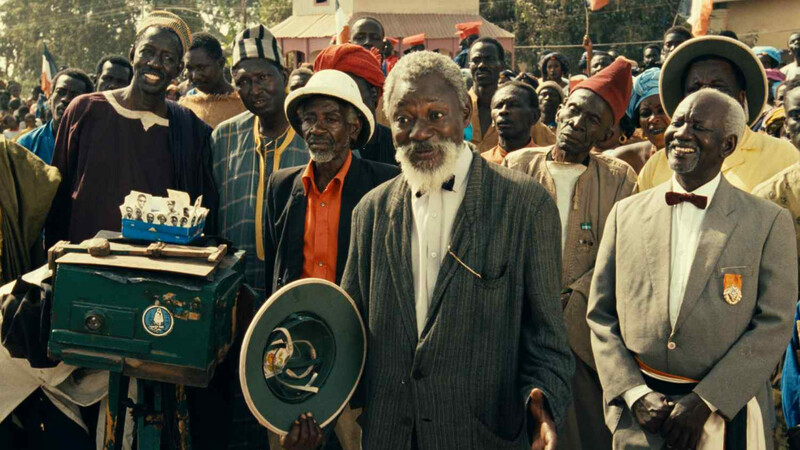 Senegalese filmmaker Djibril Diop Mambéty made his mark on international cinema with his very first feature, “Touki Bouki,” which picked up the International Critics Award at 1973 Cannes Film Festival. Together with “Hyenas” (1992), Mambéty’s oeuvre — which comprises of those two features and five shorts — has come to be recognized as one of the most important in the history of African film. Both “Touki Bouki” and “Hyenas” were to be completed by a third film, as part of a trilogy on colonization and corruption, but Mambéty died in 1998 without being able to finish the triptych. Now, “Hyenas,” the long-delayed follow-up to his canonical “Touki Bouki,” will enjoy a revival following a new restoration from the original negative, that is set for a nationwide theatrical run, starting on April 26 at the Metrograph in New York City. Distributed by Metrograph Pictures, IndieWire has the exclusive new trailer for the film. A fantastical and witty adaptation of Swiss avant-garde writer Friedrich Dürrenmatt’s play “The Visit” — a morality play about vengeance and greed — Mambéty’s version follows Linguere Ramatou, a newly-rich woman who returns to her poverty-stricken desert hometown, after being excommunicated three decades earlier for getting pregnant out of wedlock. She proposes a deal to the people: Her fortune to help the town financially, in exchange for the death of Dramaan Drameh, the man who abandoned her and his child years earlier when he refused to own up to his responsibilities. The film is a biting satire of Mambéty’s Senegal that parallels a critique of neocolonialism and western-style materialism. It stars Ami Diakhate as Linguere Ramatou, and Mansour Diouf as Dramaan Drameh. Mambéty himself makes an appearance. The film was beautifully scored by Mambéty’s brother, the internationally renowned musician Wasis Diop (father of actress and filmmaker Mati Diop), who he worked closely with over the years. Often compared to films of the French New Wave, Mambety’s works incorporate stylistic flourishes uncharacteristic of African films of their respective periods, emphasizing both the highlights and struggles that came with the hybridization of a Senegal still sorting out its identity after gaining independence from France in the 1960s. And “Hyenas” epimotized his overall technique. Now a restored version of the film — performed in 2018 by Thelma Film AG with the support of Cinémathèque suisse, at Eclair Cinema, from the original negative — is set to premiere on Friday, April 26 at Metrograph in NY, with a nationwide expansion to follow, distributed by Metrograph Pictures.